Get your social work career off to the very best start by applying to join Oxfordshire’s assessed and supported year in employment programme (ASYE). As a newly qualified social worker at Oxfordshire County Council, you won’t just be joining a fantastic children’s social care team – you will be gaining access to the very best professional development and career opportunities. That’s because we’ve just launched our new Social Work Academy to bring together inspiring, cutting edge training and industry-leading research for our social workers. The academy is designed to make Oxfordshire a centre of excellence for children’s social care, improve outcomes for children and families, and make the county a place where social workers can excel and grow – just like our two deputy directors who started out here as a social worker and as a team manager. We want our newly qualified social workers (NQSWs) to stay and grow their careers with us. That’s why we have developed a pioneering induction and assessed and supported year in employment (ASYE) programme, to demonstrate right from the start how much we value you. It’s also why you’ll be recruited into specific roles that you have chosen and applied for. We recognise that starting a career in frontline social work can be daunting so we give NQSWs a foundation of knowledge and support that helps them bridge the gap between learning and practise. We provide all our NQSWs with an intensive, six-week induction to enable you to find your feet, get to know colleagues and shadow teams across our service. 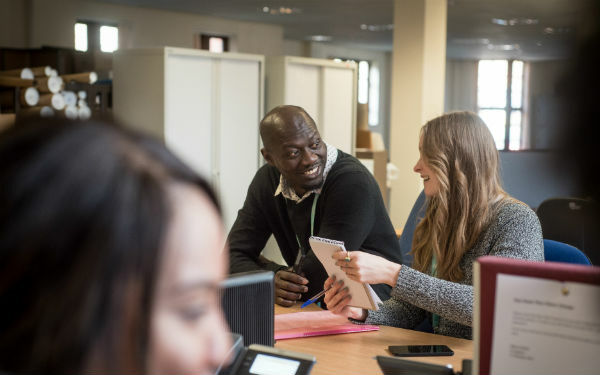 Throughout your first year you will receive one-to-one support to ensure your progress is on track, as well as receiving support and feedback from a group of colleagues. You’ll be receiving all the learning and development you need to prepare you for your career in children’s social work. Our Social Work Academy also has close ties with Oxford’s two universities, with academic staff delivering some of your training. We support all students to have a quality placement experience with us and strongly encourage them to apply for the ASYE year with us. Oxfordshire is a beautiful county rich in history and culture with a cosmopolitan city, traditional market towns and picturesque open landscapes. Rural yet diverse, Oxfordshire’s communities generate the same variety of cases a social worker might expect from anywhere else in the country. 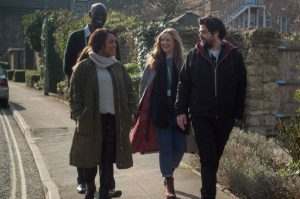 Our social work bases at Oxford, Bicester, Banbury, Didcot and Witney are all well connected by major roads and public transport. Both London and Birmingham are also just an hour away by train from Oxford. So if you’re a student or simply keen to find out more about getting into children’s social care, please get in touch with us at workforus@oxfordshire.gov.uk. We think you’ll find that Oxfordshire is the place to be. Oxfordshire takes NQSWs onto its ASYE programme in April, July and October every year. Get your social work career off to the very best start by applying to join Oxfordshire’s assessed and supported year in employment programme (ASYE).